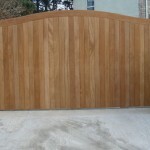 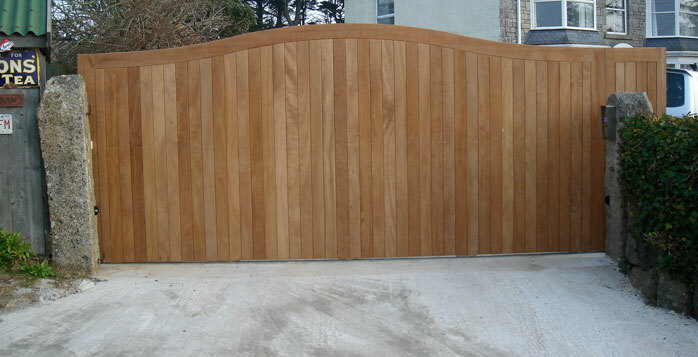 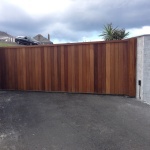 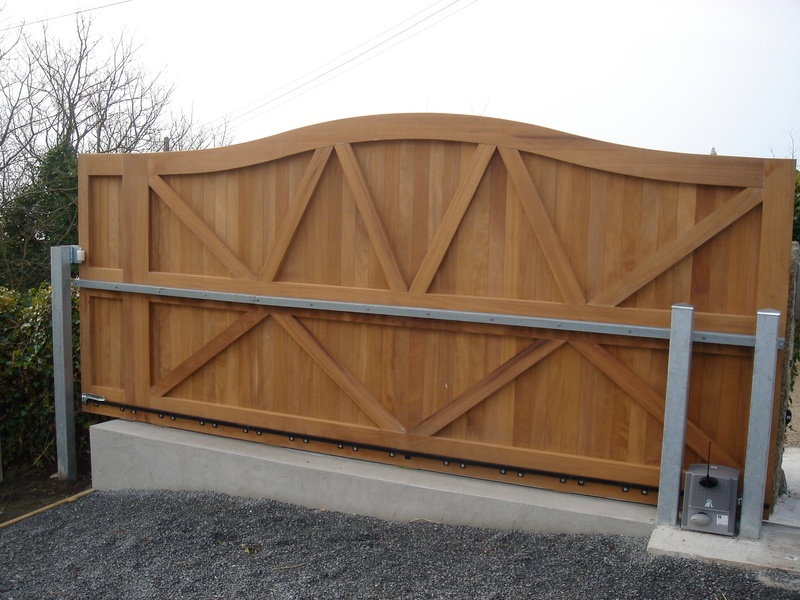 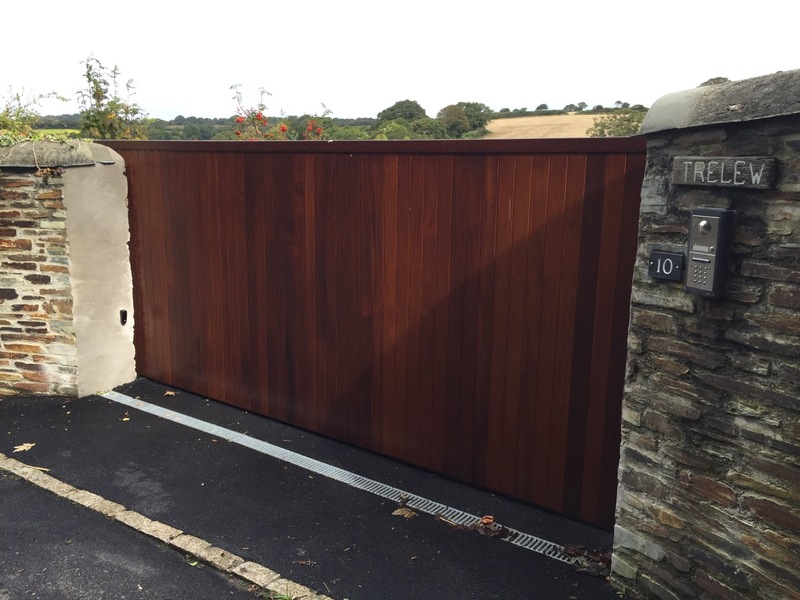 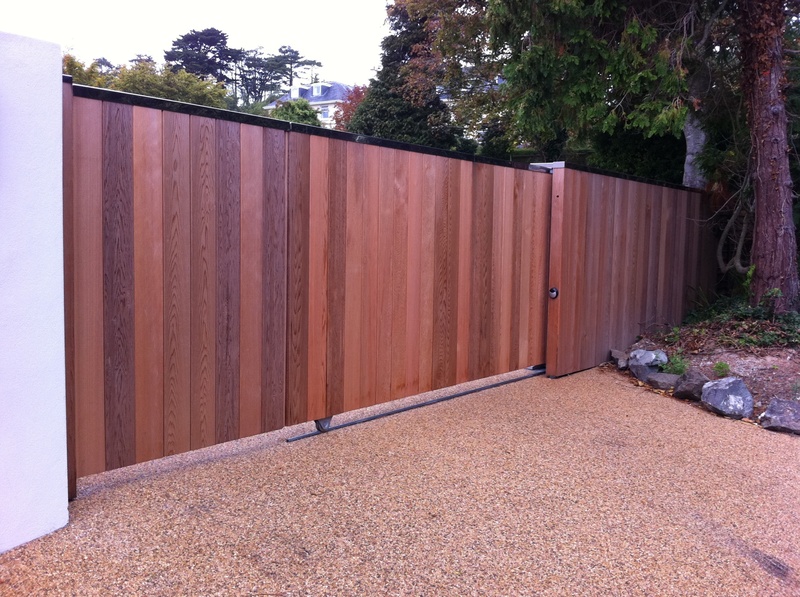 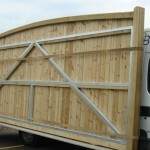 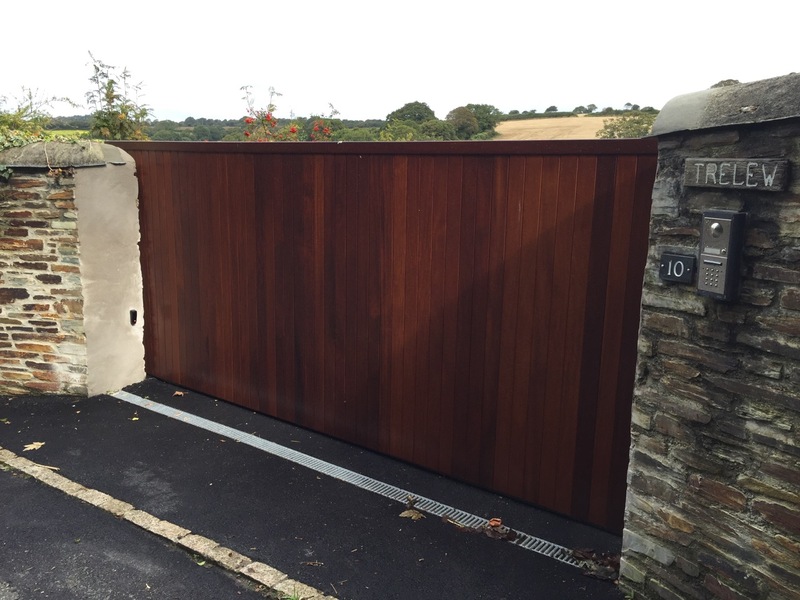 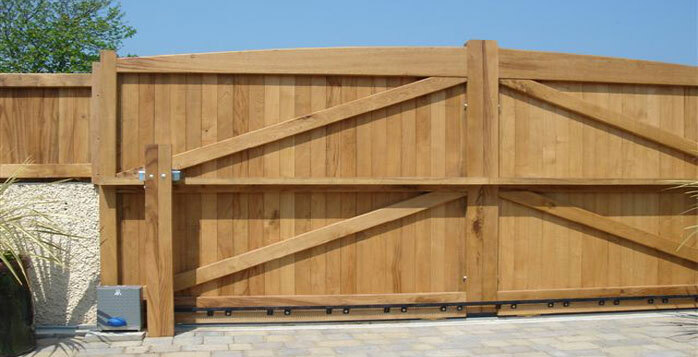 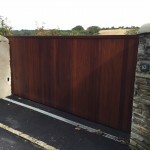 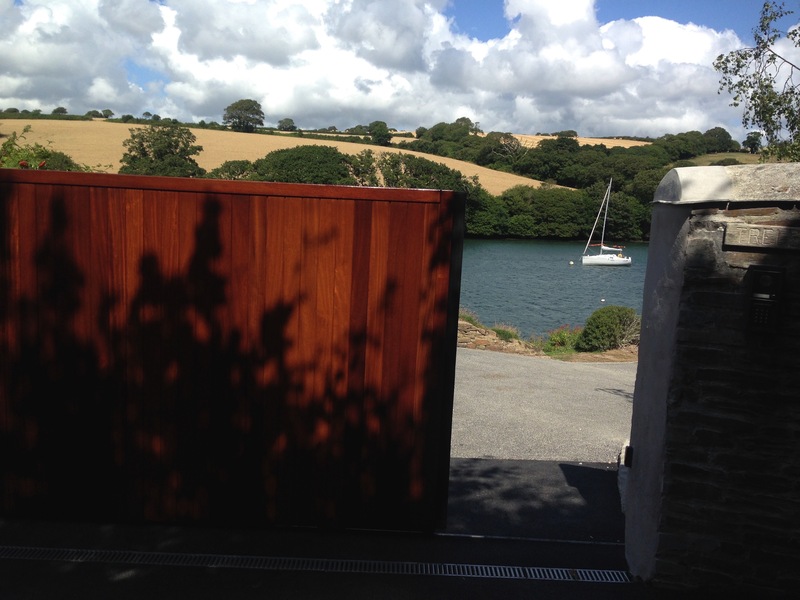 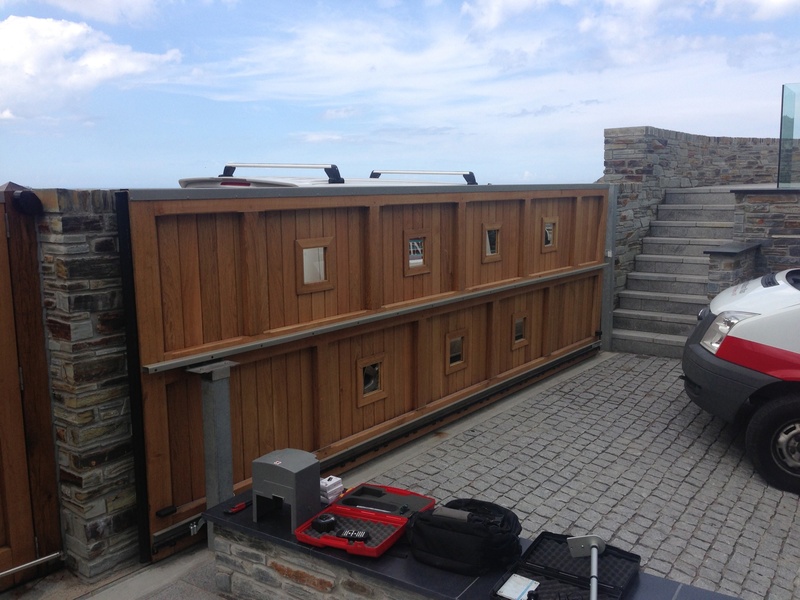 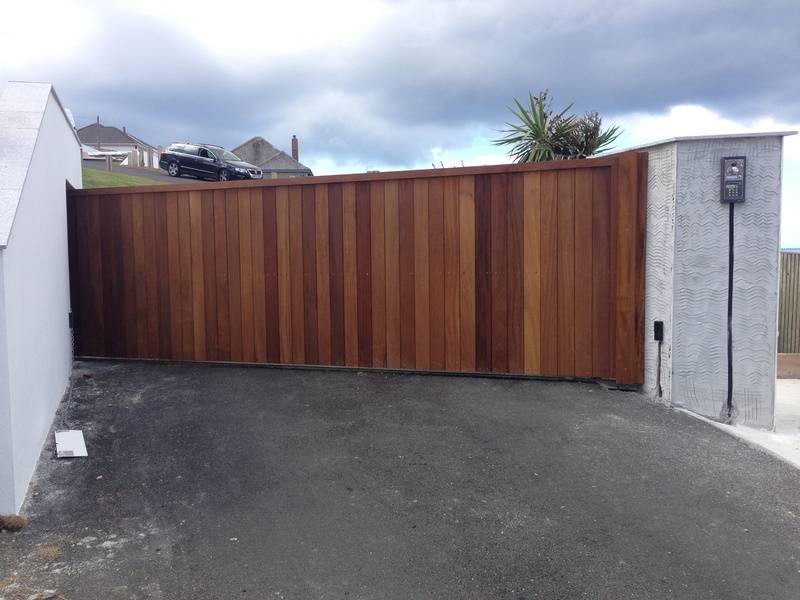 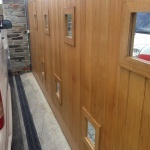 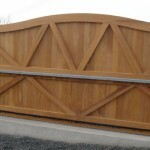 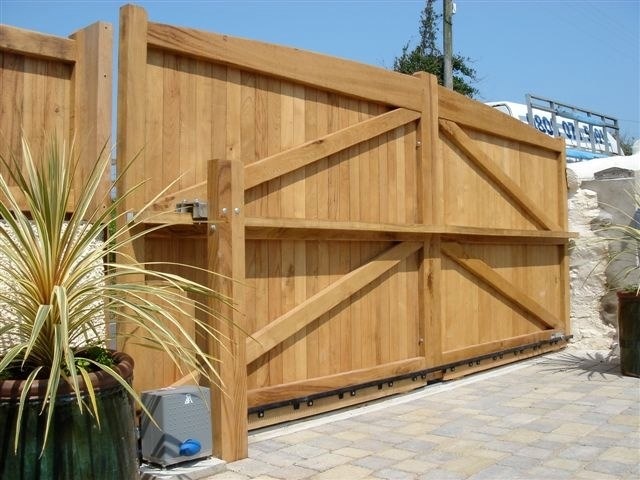 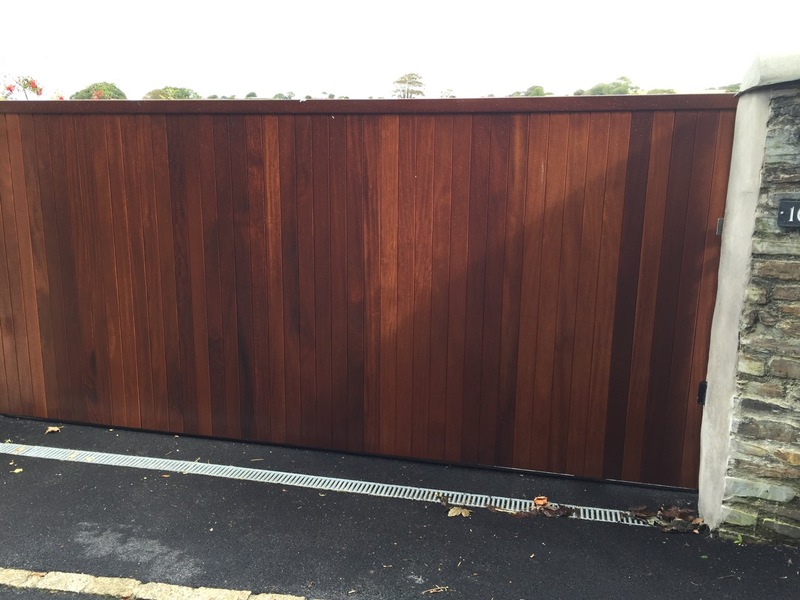 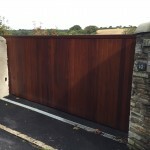 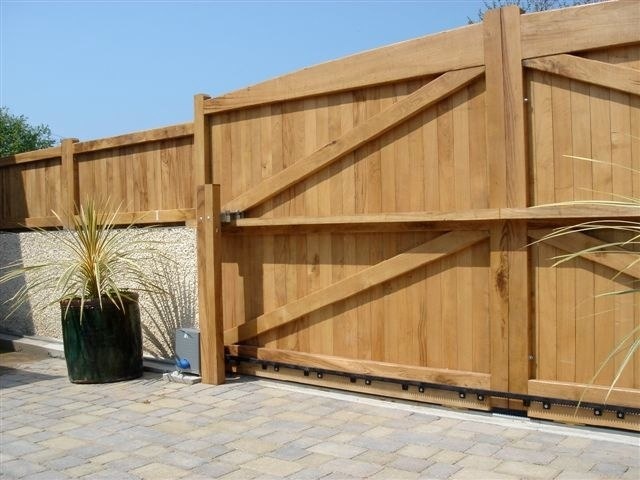 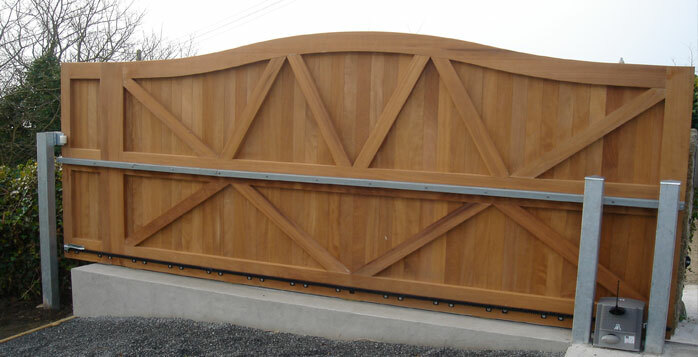 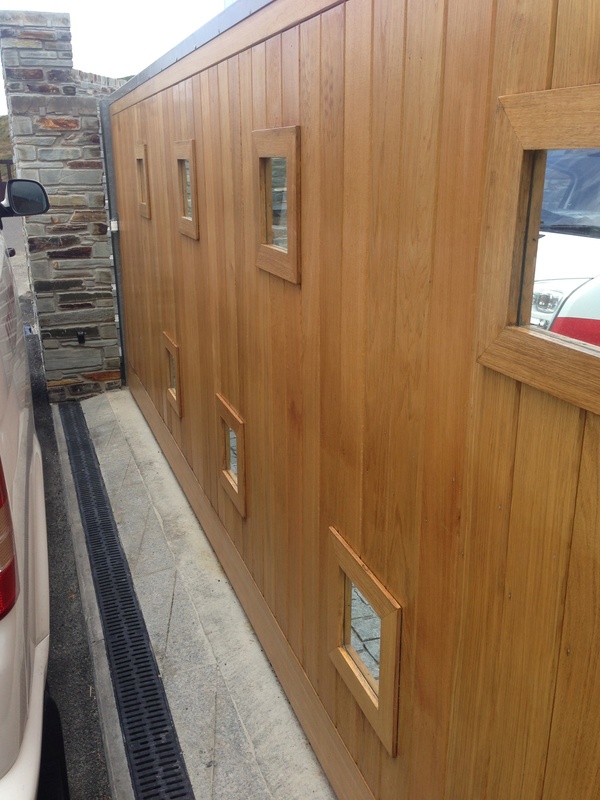 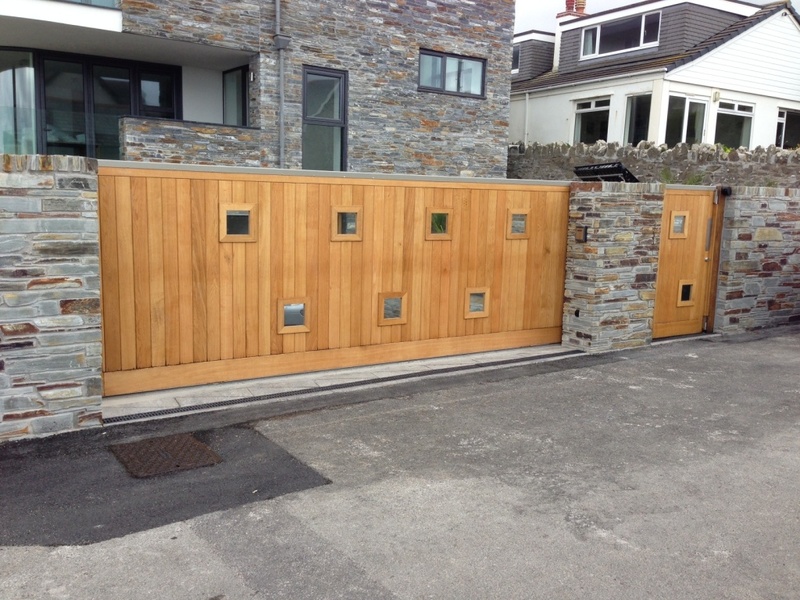 The Natural beauty of real timber makes for truly stunning timber sliding gates. 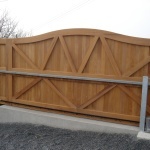 All gates are made to order; therefore you don’t need to compromise. 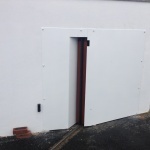 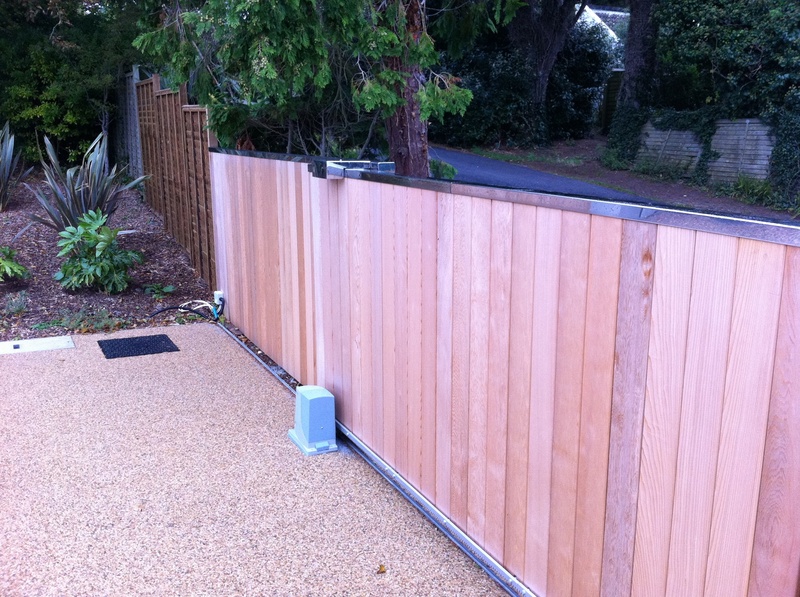 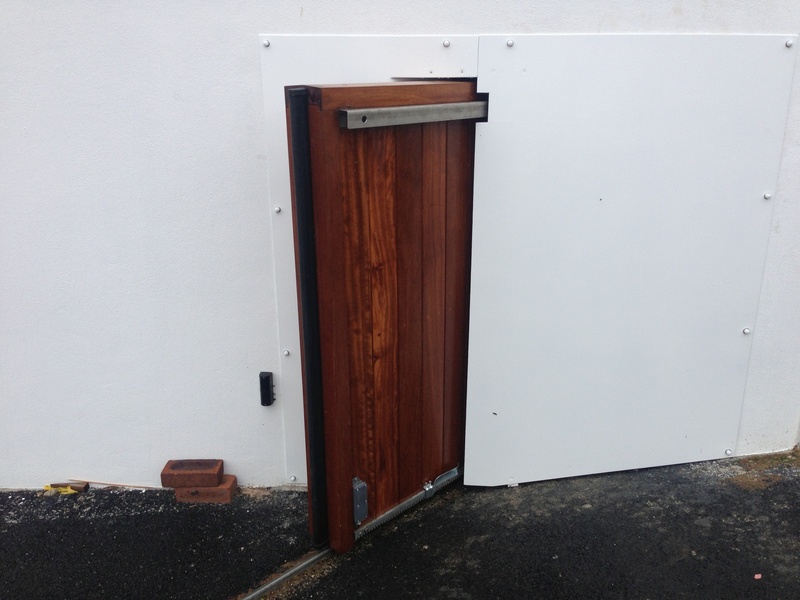 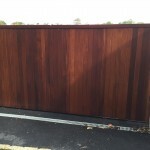 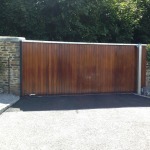 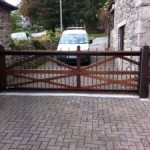 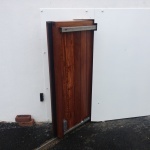 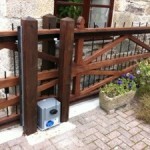 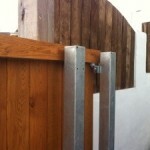 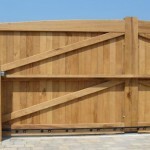 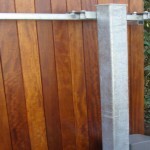 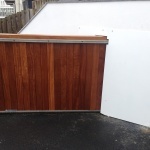 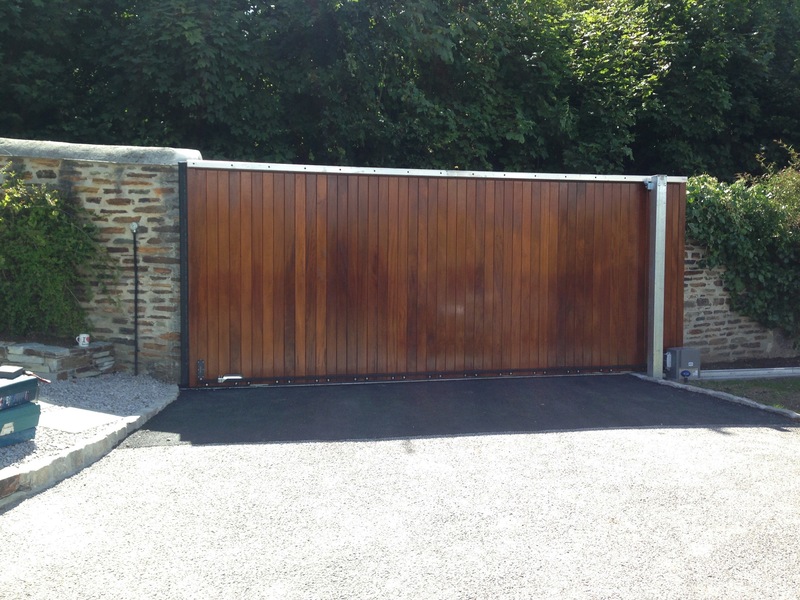 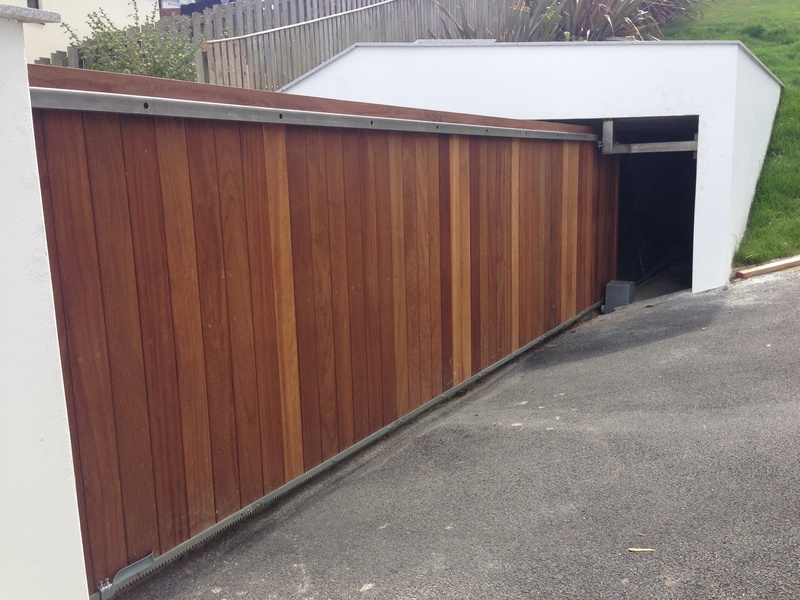 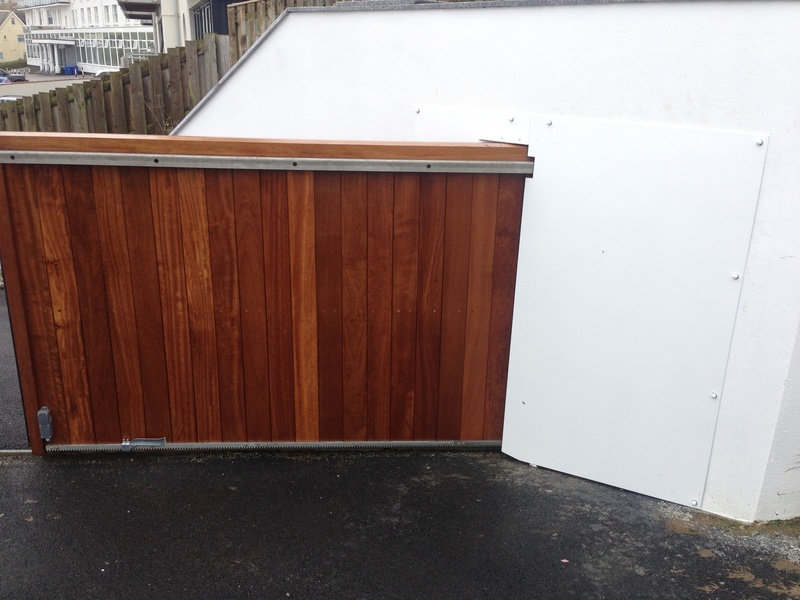 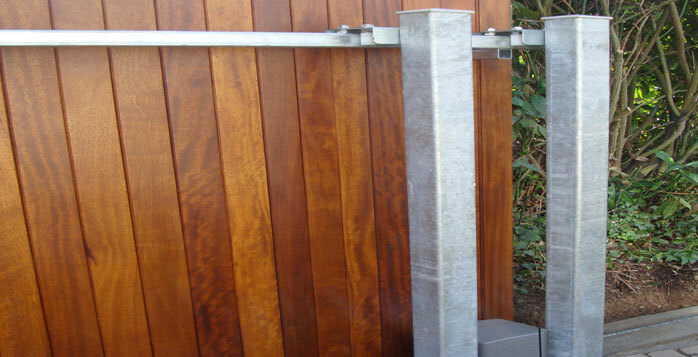 Sliding gates can offer a few advantages over swing gates if you have the space to install one. 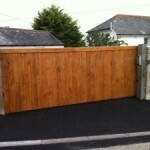 If you have a drive that slopes upwards or if you park very close to the gate, then it’s certainly worth considering. 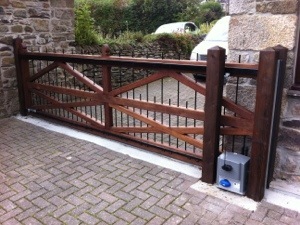 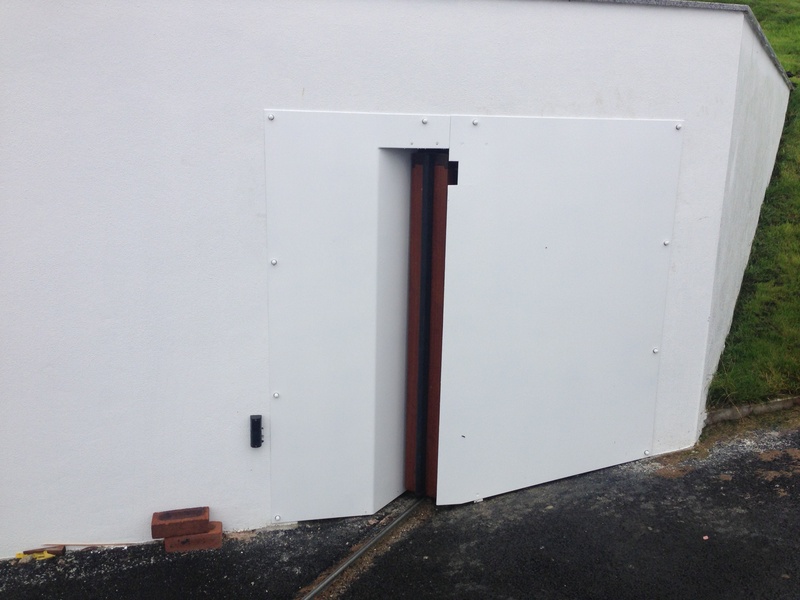 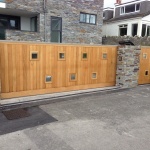 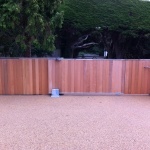 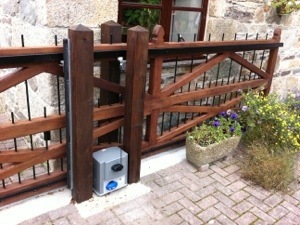 Sliding gates also cope very well in exposed locations. 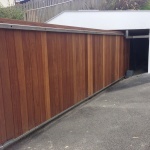 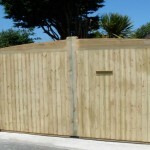 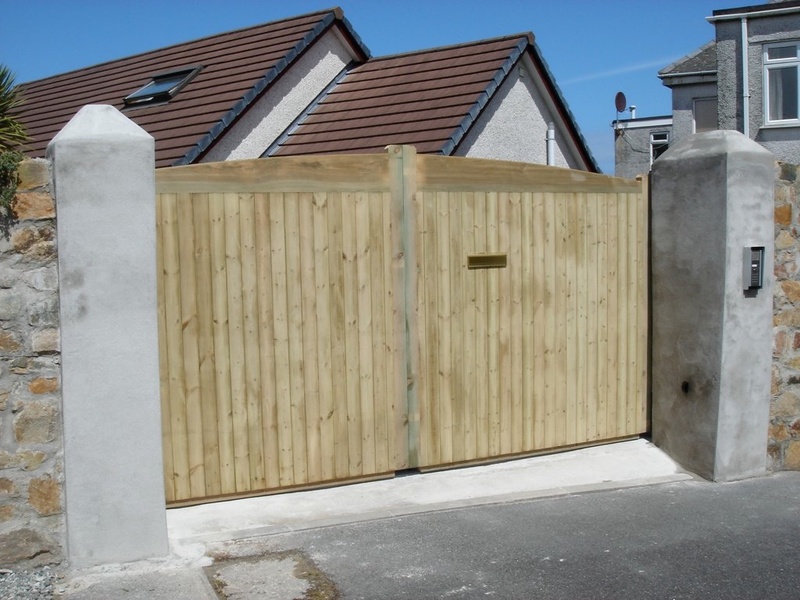 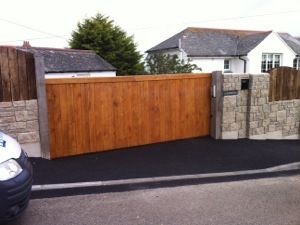 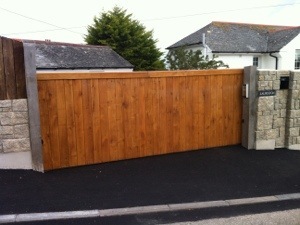 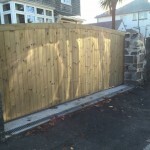 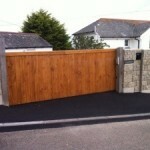 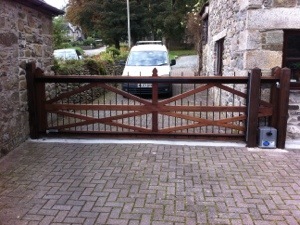 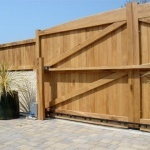 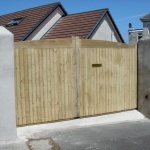 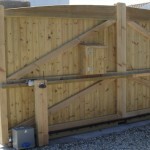 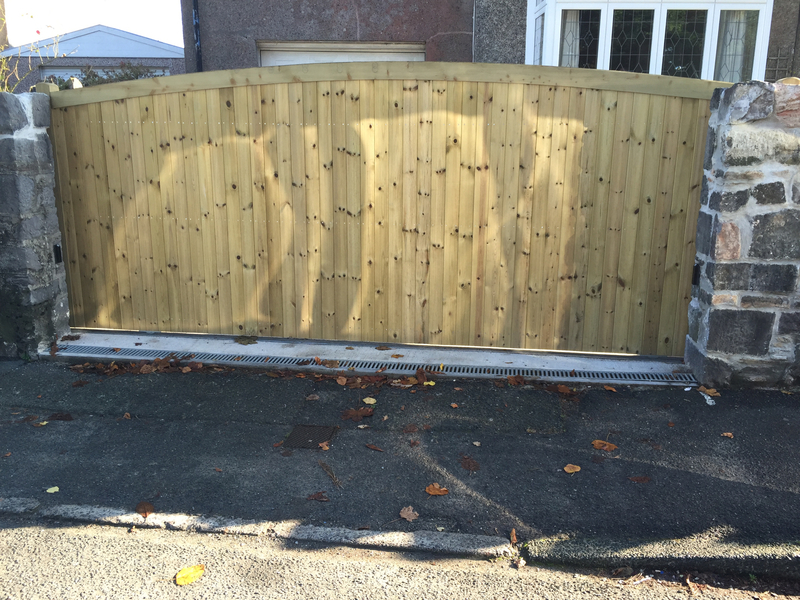 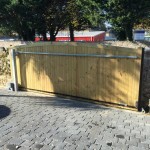 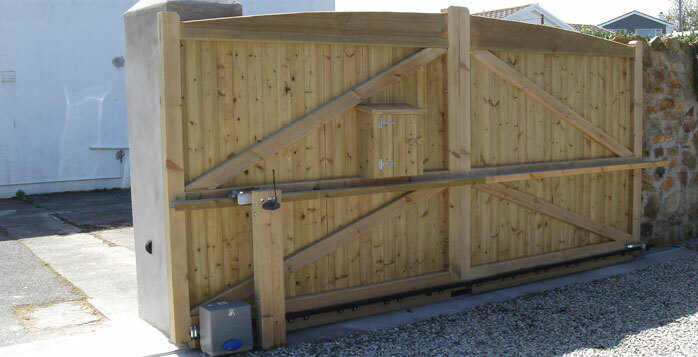 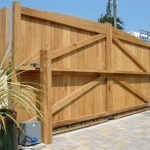 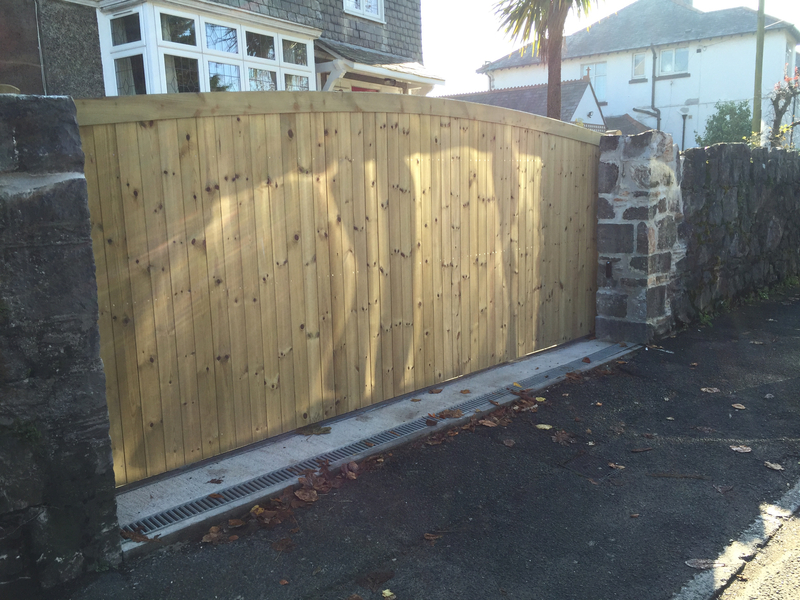 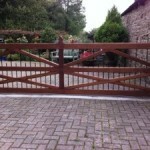 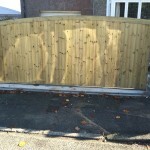 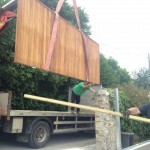 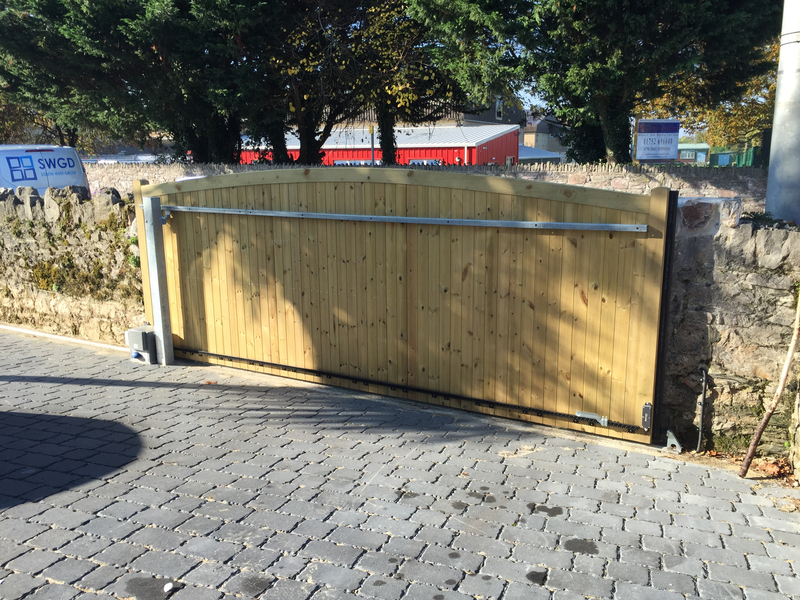 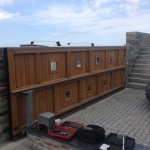 Smaller gates, up to 3000mm wide can normally be made as one gate with no internal steel frame work. 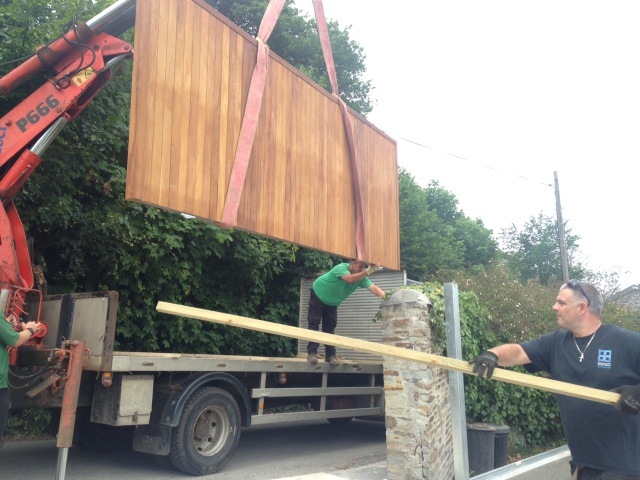 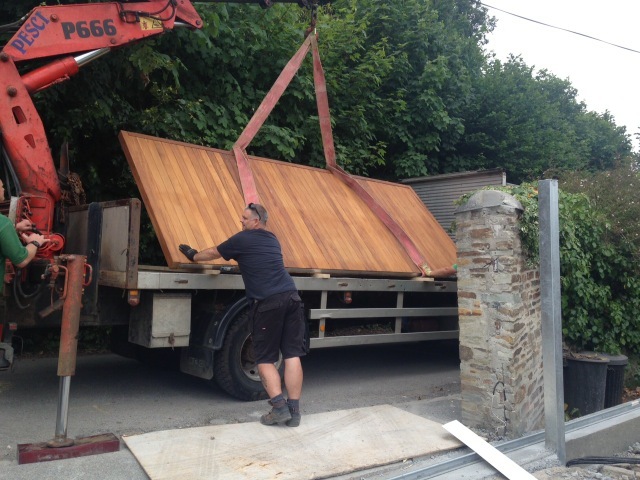 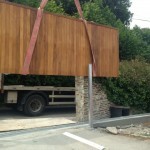 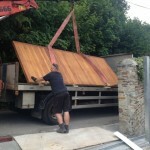 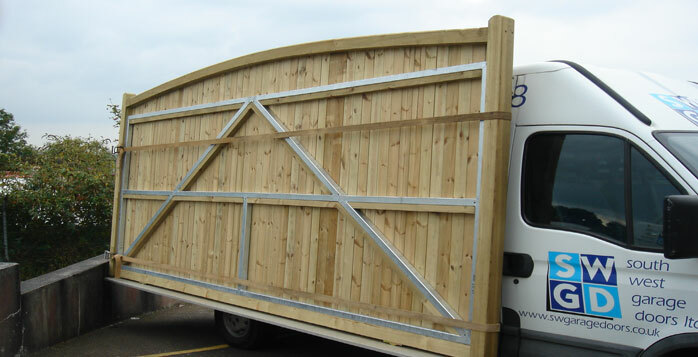 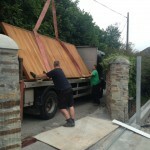 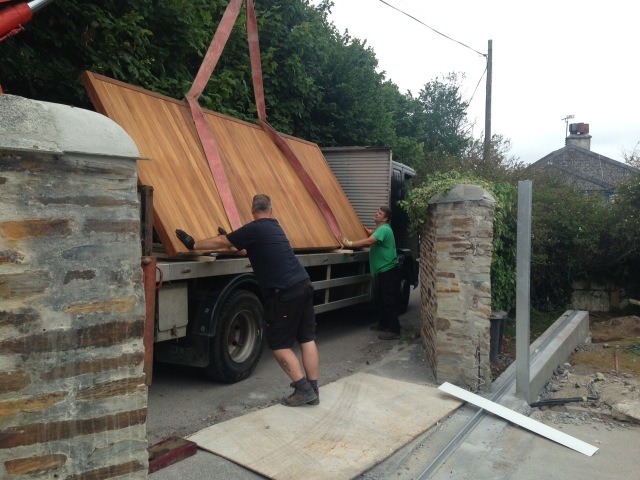 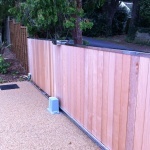 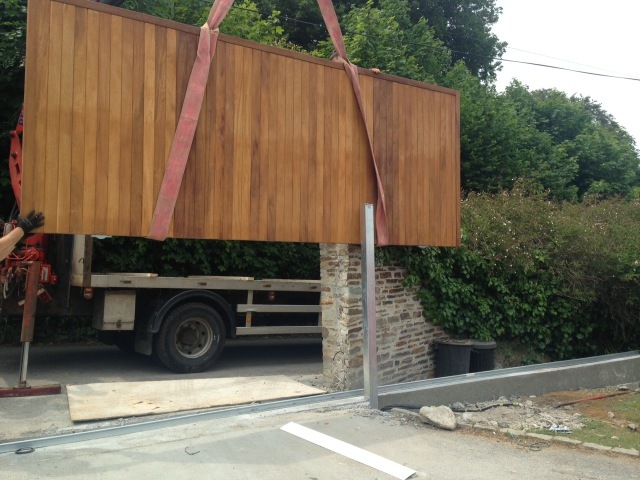 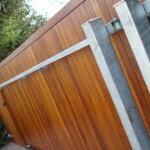 For the bigger gates we normally make a box section steel frame and then clad on one or both sides with timber. 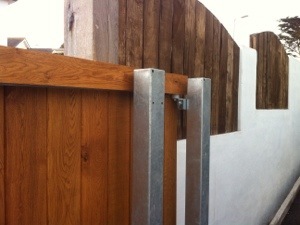 You can specify either hard or soft timber. 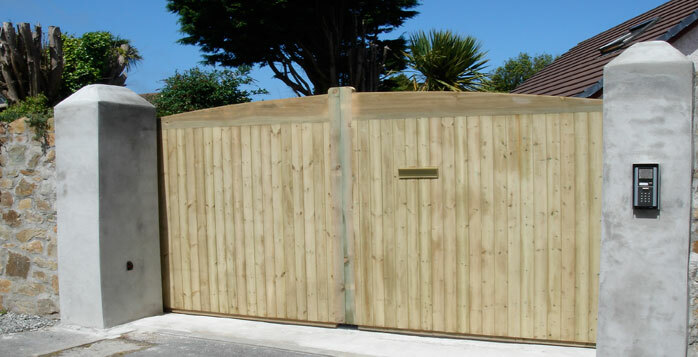 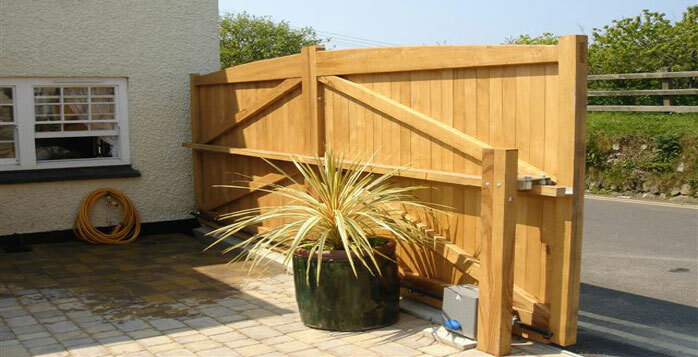 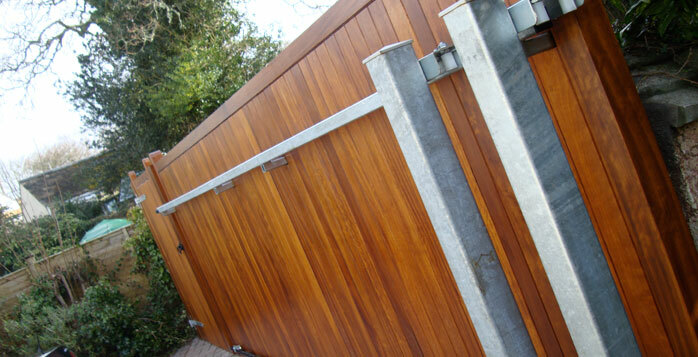 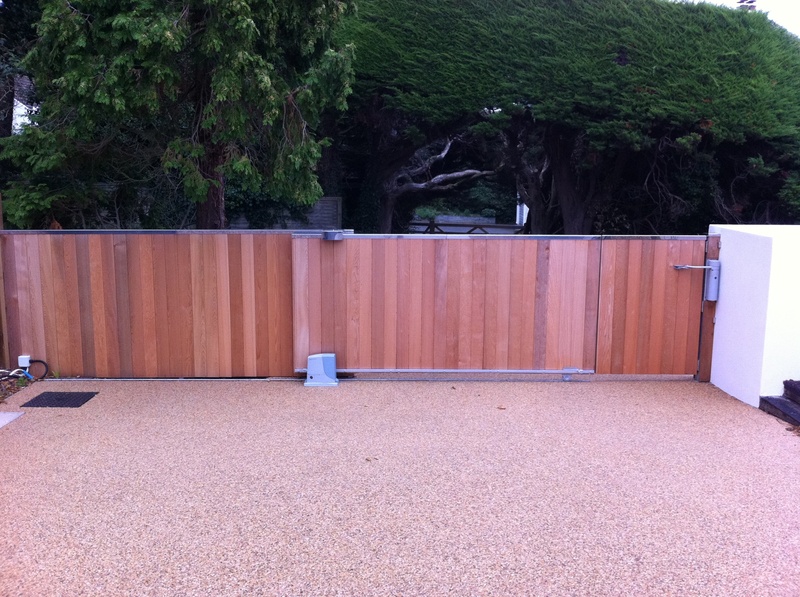 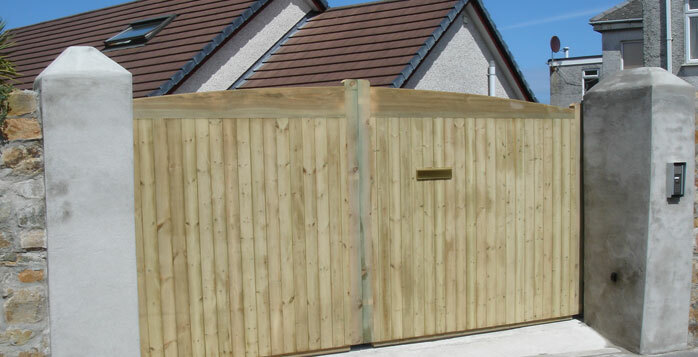 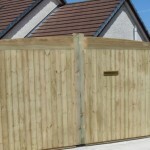 Tanalised softwood gates come pre-treated with a special tanalising fluid; this is done under pressure to force the fluid deep into the timber, giving good protection from the elements. 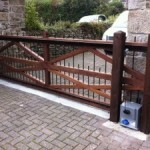 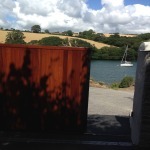 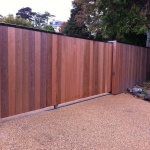 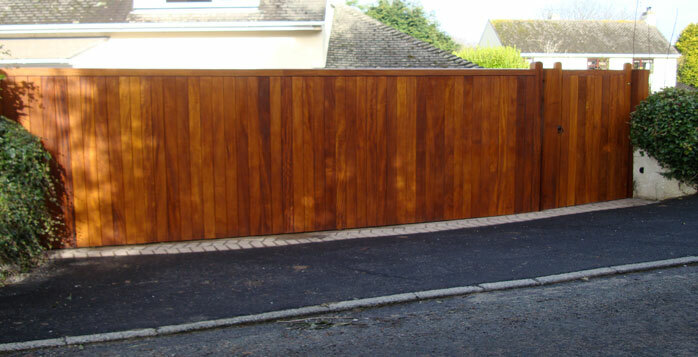 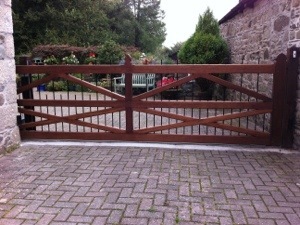 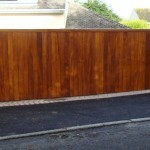 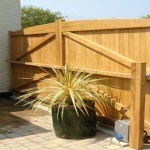 You can stain the gates to the desired colour if required, or when the tanalising goes grey after approximately 1 year.